This supplement also provides canonical insight from Sean "Dr. Kromm" Punch, who draws on decades of experience answering questions and providing clarifications as the GURPS Line Editor. 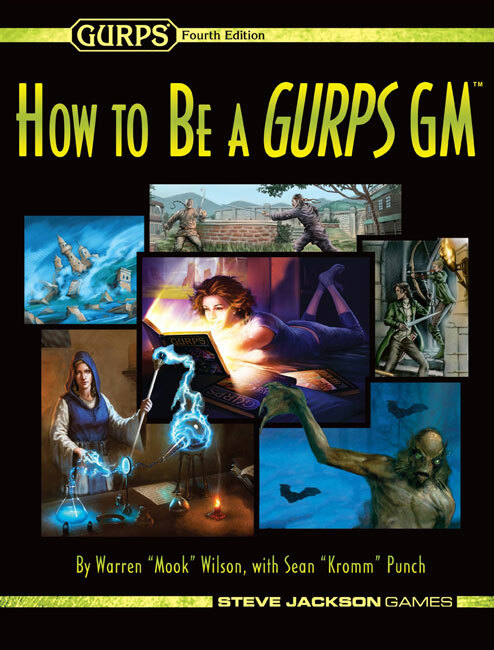 Throughout, it follows a group of example players new to GURPS, from when their GM first opens the Basic Set through the starting session of their inaugural adventure. 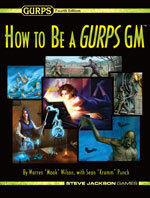 How to Be a GURPS GM is an invaluable aid for getting started with GURPS, bridging the previously perilous step between reading the Basic Set and participating in your first game. For advanced help and tips for making great characters and character templates, check out GURPS Template Toolkit 1: Characters. Get extensive insight from Sean Punch into campaigns that are very long or short, as well as those that cover unusually large or small areas, with the supplement-length "The Long and the Short of It" from Pyramid #3/84: Perspectives.